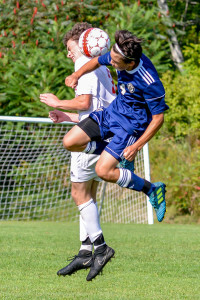 CVU’s Jonah Roberts competes for a header during CVU’s game vs Essex on Saturday in Hinesbuurg. 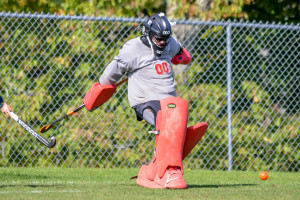 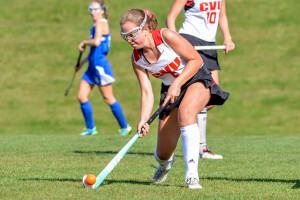 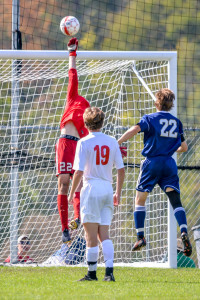 CVU goalie, Isaac Cleveland, tips the ball over the crossbar during CVU’s game vs Essex on Saturday in Hinesbuurg. 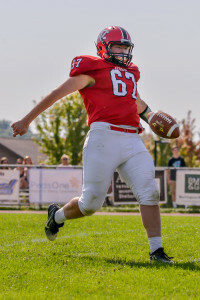 Kyle Rivers punts the ball away during CVU’s game vs Colchester on Saturday in Hinesburg. 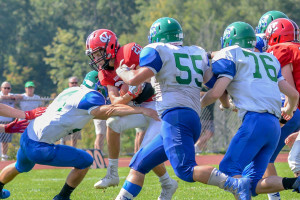 Shane Boehmke fights for yardage during CVU’s game vs Colchester on Saturday in Hinesburg. 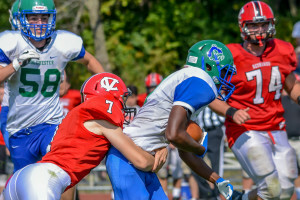 Jake Sweeney makes the tackle during CVU’s game vs Colchester on Saturday in Hinesburg. 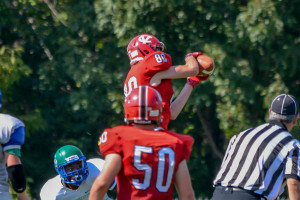 CVU’s Tommy Zych makes a leaping catch in the fourth quarter during CVU’s game vs Colchester on Saturday in Hinesburg. 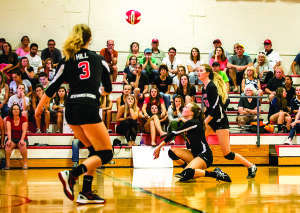 CVU’s Olivia Werner (center-kneeling) gets the dig during CVU’s match vs Burlington on Saturday in Hinesburg. 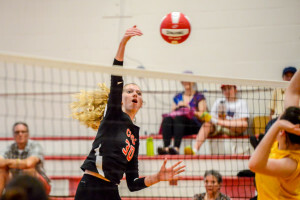 Natalie Senior gets the kill during CVU’s game vs Harwood Union on Thursday the 14th.